Catoosa, OK Ukulele Lessons Near Me | Fun Classes. Top Teachers. G, C, E, A, and the Baritone is D, G, B, E, which is the same tuning as the first 4 strings on a guitar. Soprano is the smallest and the Baritone is the largest. If you want the true Hawaiian sound you need the Soprano. If you have really big hands or thick fingers you might want to go with the Concert or Tenor size so it will be easier to play. They are very affordable instruments. The one I have is a Fender U Uke it was around 109.00. It's easier then guitar because you don't have to press down as hard on the strings. Some of my favorite Ukulele players and bands that incorporate it are Jack Johnson, Brian May from Queen, Beach Boys, Elvis, Israel Iz, and many more. I teach beginner to intermediate level for single and group lessons. I have been playing Ukulele since 2007. Usually play it in a band setting and accompanying singers!! Ukulele is the perfect stringed instrument to start out on for all ages. With only four strings you can be playing songs from day one. I'd highly recommend anyone wanting to play a stringed instrument to start with the Ukulele. Begin to serenade your friends with one of the coolest and easiest instruments to learn. You will have so much fun playing "Let it Go" on your ukulele or singing your favorite Taylor Swift song on your small 4 stringed instrument. The ukulele is a hugely popular new instrument! Learn to strum all the basic chords you need to play songs you love! Hello! My name is Danielle and I'm a strings teacher (don't worry - I teach the fun stuff too!). I've been playing violin since age 5, viola since age 13, and 'cello since age 18. I have Bachelors Degrees in Violin Performance and Music Education from James Madison University, and I play both Violin and Viola in Symphonicity, the volunteer orchestra in Virginia Beach. I've taught everything from private lessons to private school to public school and am a truly passionate teacher. I currently teach general music, choir and strings at an elementary school but I love to fill my nights/weekends with private students - that's where the real fun is! a love and passion for music in each of my students. I always encourage students to explore music on their own and bring me repertoire that they'd like to play (from their favorite movies, TV shows, video games, etc.). Those are a great and engaging supplement to the solo repertoire I choose! Send me a message to get to know more about me and my teaching. I look forward to hearing from you! Danielle was a very intuitive teacher- she listened to my goals, and helped provide me with a clear path toward them, conquering some of the basics, scales, pentatonic, and such... but also some of the more advanced nuances like harmonics and vibrato. If you are trying to learn violin or fiddle, I'd recommend Danielle. We had great encounter with Ms. Danielle. Lovely woman full of knowledge,personality, and a love for instruments. She has a way to convey her expertise to her students. Wouldn’t hesitate to utilize her in our future! Really enjoyed the first lesson and look forward to more. Danielle is knowledgeable, encouraging and friendly. I highly recommend her. Experienced ukelele teacher of 10 years available for eager students of all experience levels and ages! I structure my lessons so students learn what they want to learn, while also building a strong foundation of fingerstyle ukelele skills. I specialize in reggae, pop and world music, typically use Hal Leonard books (among others), and also have the following tools available to use during lessons: sound recording equipment, sheet music, and more. 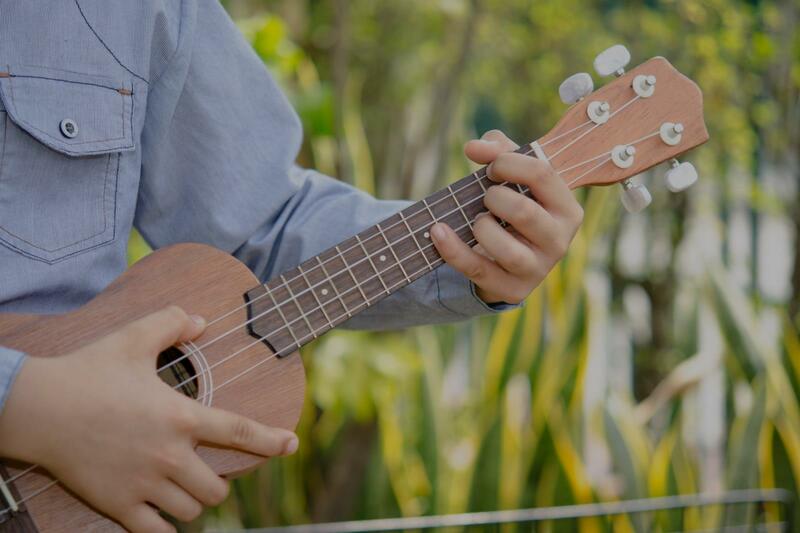 Ukulele is a very fun instrument, and it's especially great for beginner musicians. When I decided to learn ukulele, I found it very rewarding. I even ended up building my own! So, sign up! Let's get started! You won't regret it. "Very good experience. Looking forward to the next lesson." "Carl makes learning musical instruments fun! He's very knowledgeable and I am having a great time learning from him."